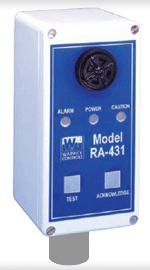 Blue Ribbon 316 Stainless Transducer and Stainless BirdCage Protector, 0-5 PSI Pressure Range = 0-11.53' water = 4-20mA two-wire Output with 40' of Polyurethane Cable, 1/2" NPT with wire rope connector. 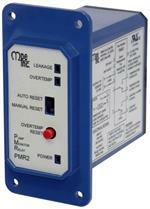 Process & Temperature Meter; Input: 4-20 mA, ± 10 VDC, TC, & RTD; 85 to 265 VAC Input Power; 2 SetPoint Relays. Duplex Pump Controller with Automatic Alternation, High and Low Alarm, 4-20mA Input, Selectable Ranges over 0 to 2310', 24V DC for Transducer, 120VAC Input Power, 10A Relays.